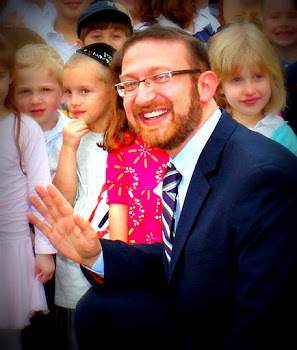 In case you missed Rabbi Stein's write-up in this week's newsletter, some of our high school students recently completed a truly unique, and truly inspiring, learning experience that ought to be shared with the world. Several years ago Rabbi Lubetski introduced the Discovery Program into our high school which allows students to devote time each week to areas they wish to explore or interests they wish to further develop. Amongst the options for our boys is a "shop" class directed by our Head of Maintenance, Mr. Steve Sims. Rather than simply learning how to properly measure and use a variety of tools, the students decided this semester to devote their efforts to enriching the lives of others through their work. Those of you who live in Memphis might have seen 7th grader Chaim Gersten zipping around town in recent months on his new electric mobility scooter. While his new "wheels" have given Chaim a myriad of new opportunities, it also presented a challenge to him and to his parents: where to park it. There really wasn't a place for it inside their house, they don't have a garage, and leaving it outside was too great a risk. That's where our high school boys came in. 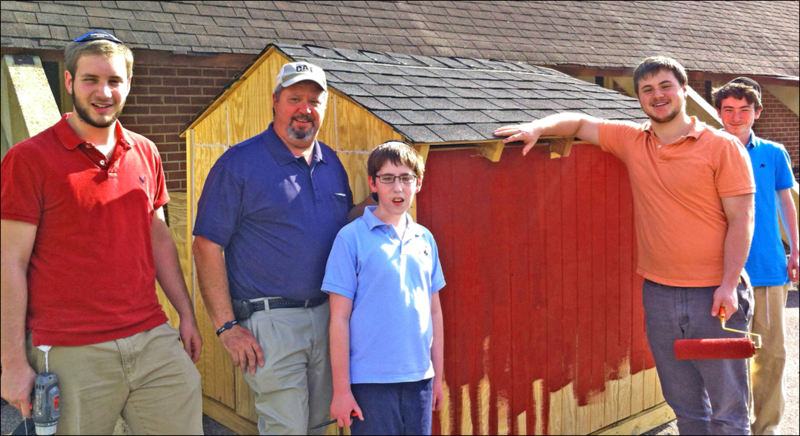 With the help of Mr. Steve, Aaron Rubenstein, Lavi Tsuna, Tzvi Joffre, and Zevi Friedman devoted this semester's shop class to planning, measuring, cutting, building, and painting Chaim his very own mini-garage. The "shed" as our younger students referred to it, got its last coat of paint this week and then was hauled off down the street to the Gersten residence where it is now home to Chaim's scooter. Much of the talk in education today is about applying learning to the real-world, making it relevant, and making it meaningful. The construction of Chaim's scooter garage was pristine example of exactly that.